I must confess ~ each time a piece of paper goes into the printing press blank and emerges again filled with words, I am astonished. What still feels like the sudden epiphany of language out-of-nothing is not, in fact, miraculous. It is careful, collaborative craftsmanship by author and papermaker and metal-caster and printer, among others. It’s a strangely fluid movement of human and machine ~ an always-changing choreography of eye and iron, hand and fiber, thought and ink and breath. Here’s a little photo diary from today’s print run. 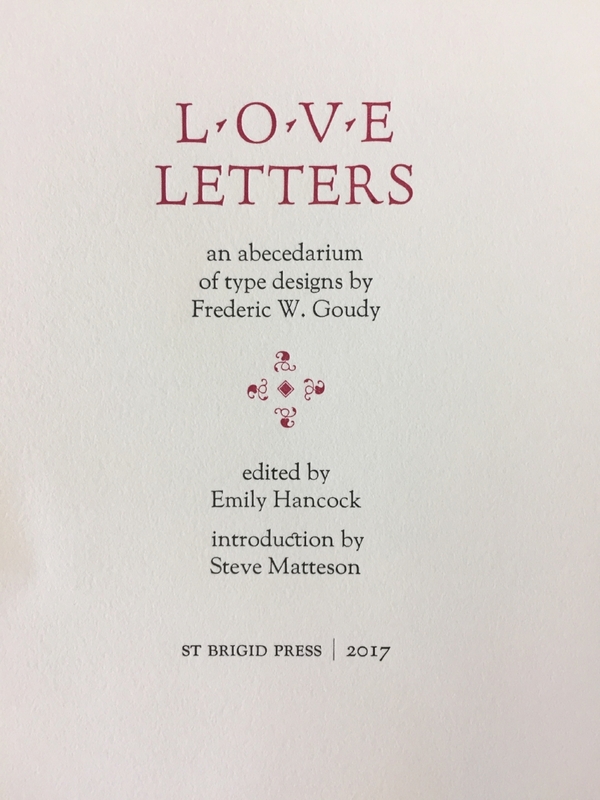 I was printing the second color (in red) on the title page of St Brigid Press’s newest book, forthcoming in early February. 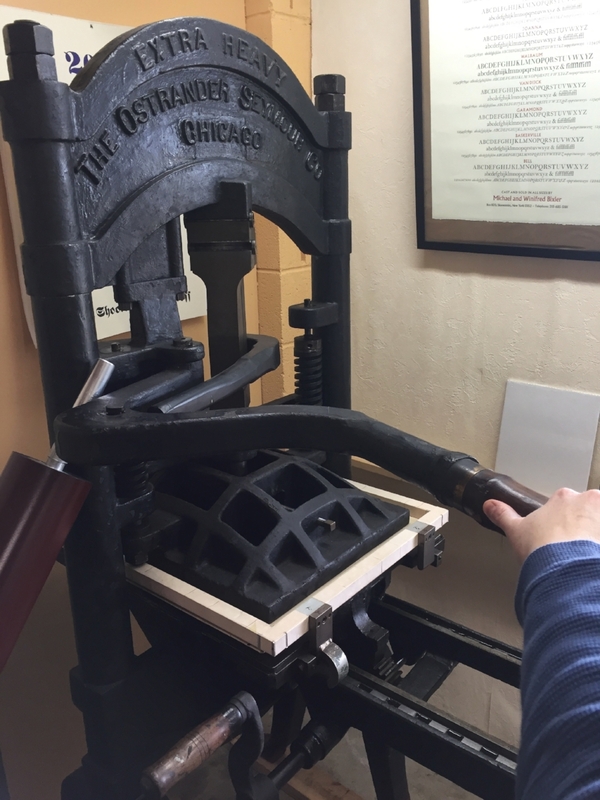 This is "Ben," the 100+ year old iron handpress, and my workstation. 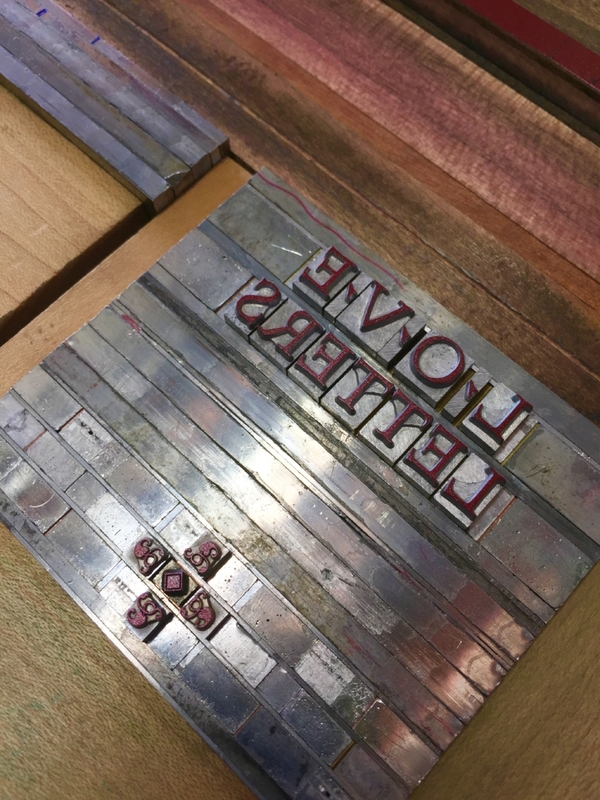 Here's what we're printing today ~ the title and decoration for the title page of our new book. 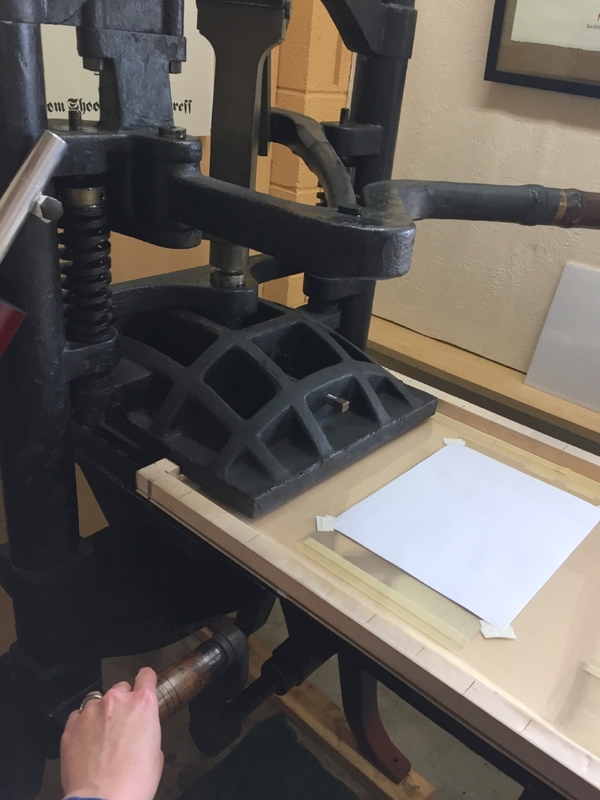 It's all set up in metal, locked securely on the bed of the press, and ready for to print. 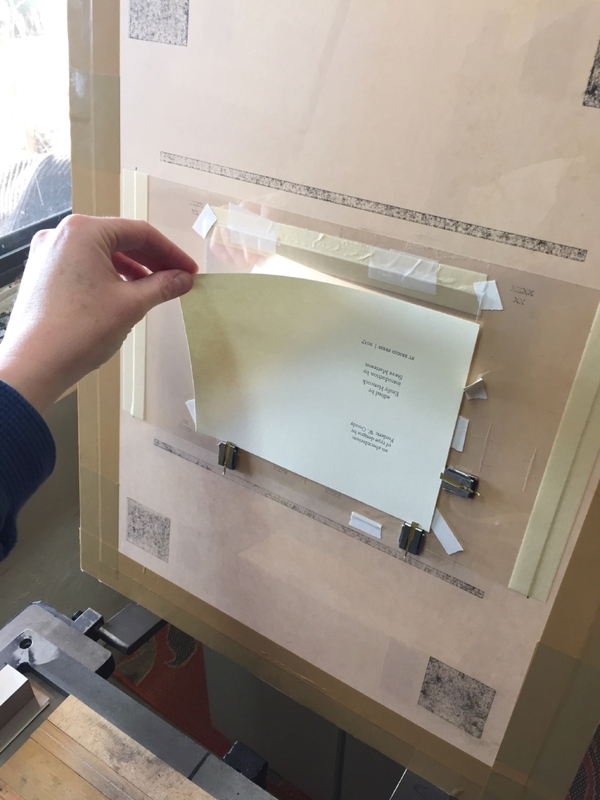 Next, we fold the frisket over the top, so the paper is secure and any non-printing areas protected from ink. Now to ink up, or "charge," the roller with that glorious red! 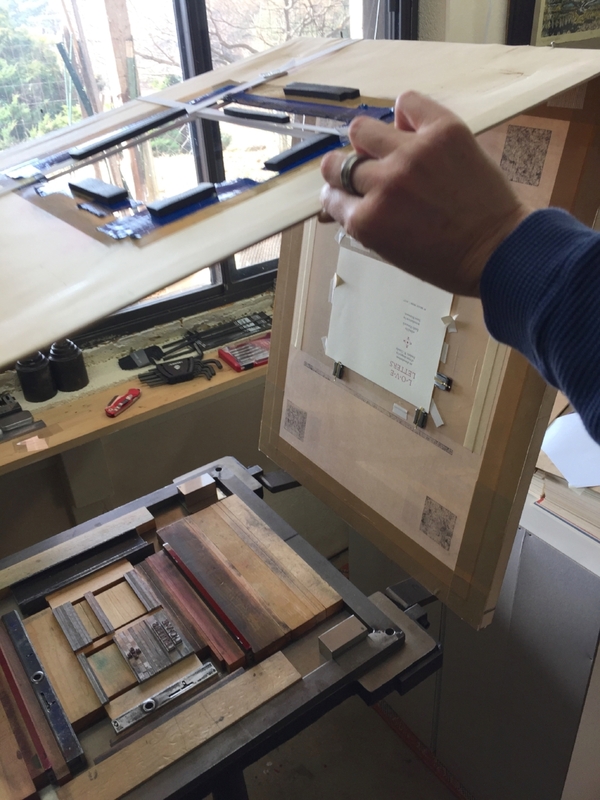 Now I close the tympan/frisket/paper assembly down over the bed of the press, on top of the inked type. The whole bed then gets rolled back under the heavy iron platen. 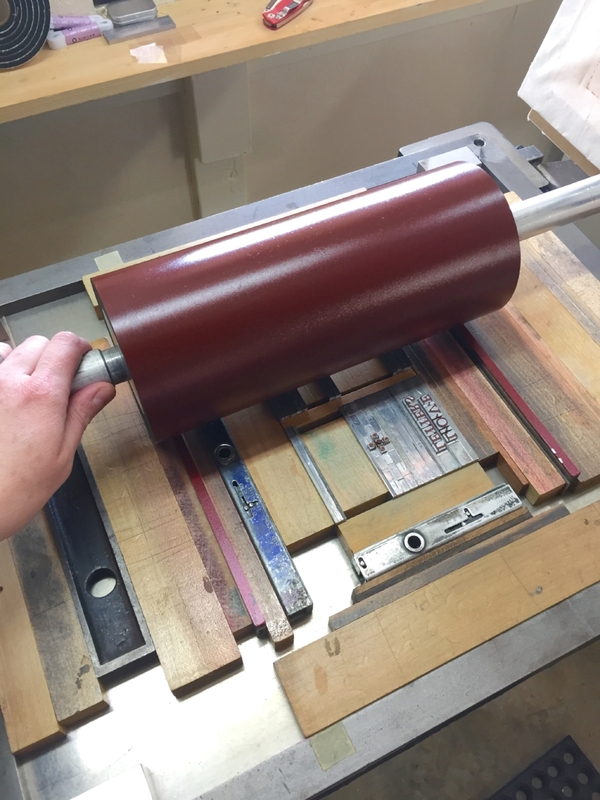 Now we pull the bar ~ this lowers the platen onto the tympan, etc., which presses the paper into the inked type! ... to reveal The Printed Page!